Suppose if you have many blogs in one account and a fewer in another,transfering a few to other account will make it easier to manage. 3.Before transfering your blog ie. before making someone admin,you need to first invite him and make him as author.Click on the 'ADD AUTHORS' button to add. 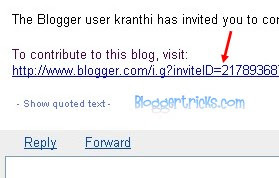 4.Enter the person's email id and click on the INVITE button. 5.After inviting him,blogger will send an email to that person asking him to visit a link and confirm that he is willing to contribute to your blog. 6.Once the invitee confirmed,go to the permissions page once again.Now,you will see an option to grant admin privileges to your partner.Click on the 'grant admin privileges' link and confirm. 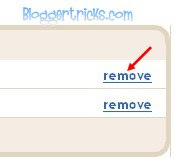 7.Now,your blog has two admins.You will see the admin 'remove' link next to the author's name.Remove your's as admin(and also as author).Now your blog will be transfered from your account to your partner's. That's it! Now,you easily transfered your blog from one account to another account. Leave a reply here if you like the post or if you have any questions.